This highly original historical and political analysis of the Arab-Israeli conflict combines the unique perspectives of two prominent segments of the Middle Eastern puzzle: Israeli Jews and the Palestinian citizens of Israel. 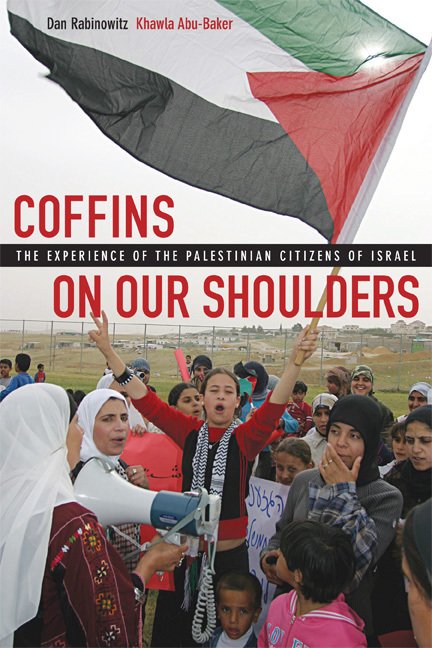 Written jointly by an Israeli anthropologist and a Palestinian family therapist born weeks apart to two families from Haifa, Coffins on Our Shoulders merges the personal and the political as it explores the various stages of the conflict, from the 1920s to the present. The authors weave vivid accounts and vignettes of family history into a sophisticated multidisciplinary analysis of the political drama that continues to unfold in the Middle East. 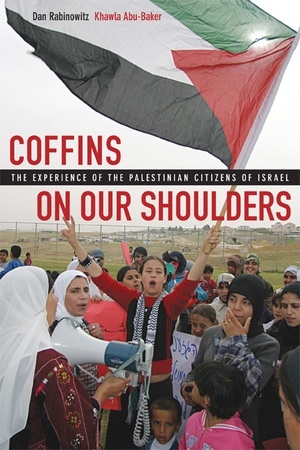 Offering an authoritative inquiry into the traumatic events of October 2000, when thirteen Palestinian citizens of Israel were killed by Israeli police during political demonstrations, the book culminates in a radical and thought-provoking blueprint for reform that few in Israel, in the Arab world, and in the West can afford to ignore. Dan Rabinowitz is Senior Lecturer in the Department of Sociology and Anthropology at Tel-Aviv University. He is the author of Overlooking Nazareth: The Ethnography of Exclusion in Galilee (1997), Anthropology and the Palestinians (1998), and The Cross Israel Highway (forthcoming). Khawla Abu-Baker is Senior Lecturer in the Department of Behavioral Science at Emek Yizrael College. She is the author of A Rocky Road: Arab Women as Political Leaders in Israel (1998) and editor of Women, Armed Conflict, and Loss: The Mental Health of Palestinian Women in the Occupied Territories (2004).